Last year, as construction crews broke ground on an expansion project for the Mayo Civic Center, one of the earliest decisions they and the City of Rochester faced was deciding what to do with the iconic bronze statue of Drs. William and Charles Mayo. 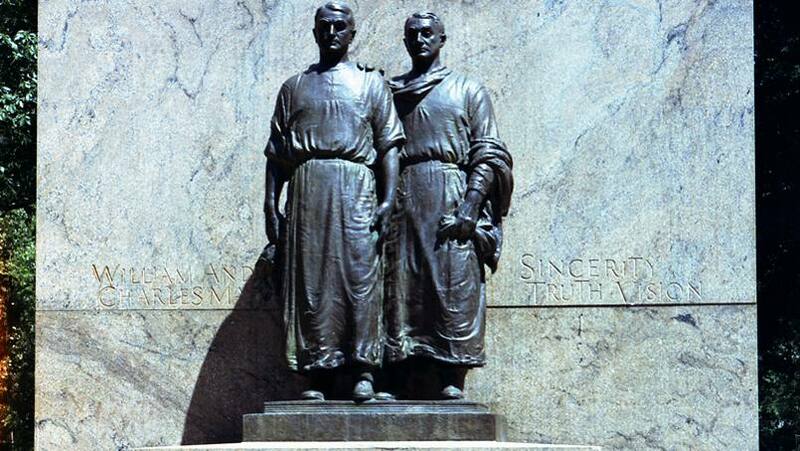 The Mayo brothers had stood outside the building’s entrance for years, welcoming visitors to Rochester (and, as it turns out, hiding a time capsule beneath their feet). Figuring out what to do with the statue during the construction process was easy. The Rochester Post-Bulletin reported that construction company employees “prepared and transported the statue to a storage location” in Rochester for “safekeeping of the historic piece” while they worked. Settling on a new permanent home took more debate. According to one report, there were some who thought the statue’s most-fitting new home would be inside the freshly remodeled Mayo Civic Center so it could stay protected from the elements. Others argued it should be returned to its original home in Mayo Memorial Park — directly behind the Civic Center — where it was first placed in 1952. In the end, that’s the location that ultimately won out. KAAL-TV reports that the statue was officially returned to the park earlier this month. Make your presence known by sharing your comments below and by sharing this story with others.